More performers announced for the 2013 CMT Music Awards. Don’t forget to vote! Don’t you dream impossible dreams, Taylor Nation. Here at the Swift Agency, still a guy who’s not telling you what he sees on a priceless French painting, we’re hoping to go to the 2013 CMT Music Awards but we don’t have tickets yet. In case you didn’t know, the Sparkly Dressed will be performing at the event. CMT recently announced Carrie Underwood, Darius Rucker, Florida Georgia Line, George Strait, Jason Aldean, Keith Urban and Lady Antebellum to the performing lineup. They join already announced performers Hunter Hayes, Little Big Town, Luke Bryan, Pistol Annies and Taylor Swift. The Princess in Red has two CMT nominations, Video of the Year for We Are Never Ever Getting Back Together and Female Video of the Year for Begin Again. You can read more on CMT. 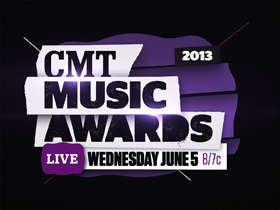 The 2013 CMT Music Awards air live from Nashville’s Bridgestone Arena on June 5, 2013. Don’t forget to vote for Taylor is also nominated for the 2013 CMT Awards for Video of the Year and Female Video of the Year. The RED Tour continues in Austin, Texas tonight, May 21. May 21: The Red Tour at Frank Erwin Center in Austin, Texas. On sale now. Ticket information here. Is this not the most awesome line up? And I think it’s on my day off so I can actually watch it live!